Synopsis: A party of adventurers take on Wil Wheaton’s created universe in an RPG, with him as the game master. In a world still defined by a cataclysmic event and an ensuing war, the protagonists are performers journeying together for their own varied reasons. Adventure, secrets, and legendary feats await. Starring Laura Bailey, Hank Green, Yuri Lowenthal, and Alison Haislip. I’ve Watched: Chapters 0 and 1. It’s just starting. Available: At Geek and Sundry on Tuesdays, or on their Youtube channel on Fridays. Everyone on camera for this story is entertaining, which is nice, as they’re all weaving the story together and adding to the overall tale. I love all of the characters so far. Lem especially had her spot in the limelight in chapter one, and it’s great how she’s boisterous and cheerful and liable to get carried away, yet underneath that, she’s got a lot of pain. S’Lethkk has a really interesting backstory and secret that he’s keeping from everyone else, and I really look forward to how that’s going to play out. Aankia and Jeremy are livening up everything by getting into the spirit of performing. And Kiliel is ready to toss a potion for dramatic effect. They’ve all created a lot of great moments already, and I’m looking forward to many more. There characters and storyteller all played off each other well, and are getting into the story. I really enjoyed it. In short, this is really cool, and it’s obvious everyone is having fun. Synopsis: A man and a woman walk into a bar with no memory of how they got there, where the bartender forces them to play a game with their lives on the line. Why? What’s going on? And what kind of story could this possibly be, if the seemingly heartless bartender is the protagonist? Verdict: Uneven, but ultimately interesting and worth watching. It took two episodes (both of which are interconnected) to explain what is actually going on in this series. Before then, I was jumping to all kinds of wild conclusions. And I was also very confused at how such a happy-go-lucky opening could correspond to such a brutal beginning. Of course, brutality isn’t really what the show is about. It’s about something closer to understanding. The whole death game thing isn’t exactly a new idea, in either western media (Hunger Games) or anime, but this ain’t no Hunger Games. And the further we get into the show, the more it becomes clear that this isn’t a procedural focused on new scenarios every episode. It’s about what our main characters learn. It does definitely veer into ridiculousness sometimes, and it’s far from perfect. I don’t agree with it all the time, either. But the concepts it brings up are interesting, and it’s worth the twelve episode watch. It ended appropriately, and this is meant to be the end–plenty of anime is written to be just one season, and I do believe this is one. One episode in particular (spoiler) had a problematic concept that apparently other people thought was sweet–a girl got plastic surgery because she didn’t appeal to the guy she liked, and then he liked her when he didn’t know who she was. He finds out that she had plastic surgery and is cool with it, which is nice…but what’s the message here? Change yourself for a guy? Your appearance is the only thing that matters about you, so don’t expect anyone to care about your personality? Synopsis: Claire, a WWII nurse, gets mysteriously transported to 18th century Scotland. And thus ends up in the middle of the conflict between the Scots and the English–which is awkward as she’s an Englishwoman who ends up becoming an unwilling houseguest to a Scottish clan. Series: First season, will be a second. I’ve Watched: Up to episode 9. Verdict: Decent, but perhaps not for me. I’ve talked about episodes 1-4 and 5-8 before. Once the rest of the season began airing, I went back into the series with trepidation, because of how the first half-season fumbled towards the end. Only to find that the show was ready to deal with one of the discrepancies between our modern and its historical cultures–which, props for doing it at all. It is important to remember that people were taught different concepts of morality at different time periods and places. And that, yes, those concepts were internalized by people who might have otherwise been fine people, if they’d known better. But knowing that intellectually isn’t the same as accepting it emotionally. And it doesn’t have to be. In fact, it shouldn’t be. I don’t need to accept someone doing something wrong simply because it was impossible for them to know otherwise. Outlander actually does an impressively good job of straddling the line between not having the hero be unrealistically modern, yet still having him learn not to do that anymore. And it’s not in any way the fault of the show that I’m still sore on the topic, because intellectually, I know they handled it about as well as they could have. So, spoilers, here’s what I’m talking about: Claire did something that caused the clan to put itself in danger, and Jaime beat her for it with a belt. So yeah. Naturally, Claire has a healthy sense of pride, which means she neither meekly acquiesced nor accepted it afterwards. After an undisclosed amount of time of his wife distancing herself from him, Jaime finally figured out he’d done wrong. He put together a dramatic apology with promises never to do it again, which because he’s Jaime, he actually means. The show even made it clear that, when he thought Claire wouldn’t forgive him, he was ready to make arrangements for them to live separately. 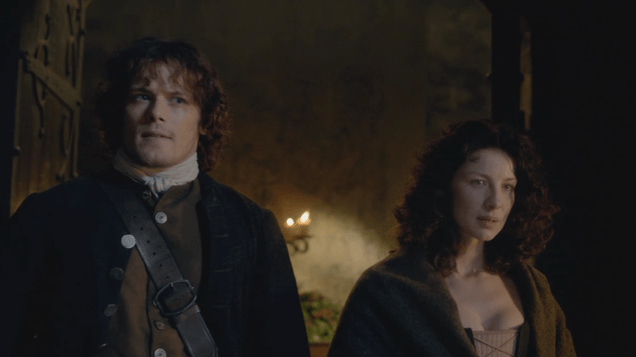 And Claire rather…pointedly got across that she wouldn’t tolerate that kind of behavior a second time. I was watching for anything too reminiscent of a victim going back to an abuser, and while I admit I’m no expert, I thought they avoided that pitfall. It was clear that Jaime genuinely didn’t know there was anything wrong with that behavior, as everyone in his culture did it, but he’d realized now that there was, and therefore it wouldn’t happen again. And it was clear that Claire might forgive him once when he didn’t know any better, provided he’d learned his lesson, but not again. But gah, this did not give me the emotional reassurance I needed after the previous episode. I’m still grouchy about this emotionally, if not intellectually. And I haven’t had the energy to go back to the series since. By this point, I might not. I do hear that Claire gets to be more proactive in the future, which might be intriguing enough for me to come back to the series sometime, but no guarantees. My potential departure isn’t really surprising, for several reasons. For one, this really isn’t my type of show, and never was. It’s slow-paced, focusing on the personal relationship between the male and female lead as the primary plot point, rather than the rebellion or the politics of the MacKenzie clan. For another, the story follows the personal journey of a protagonist taken out of her own world, at the mercy of things she doesn’t understand. And I like my protagonists put in a position where they are allowed to influence things, whereas Claire’s circumstances necessitate her being wholly dependent on Jaime and the MacKenzies. This addition of a realistic aspect to a historical romantic hero that I nonetheless don’t particularly want to see? That’s just a side thing, a hurdle that it isn’t worth getting past (though I could) because of all the other ways this show isn’t quite my thing. 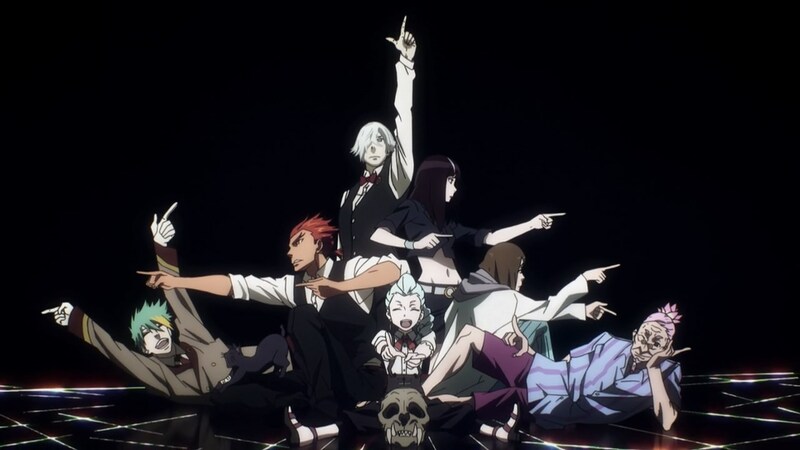 That said, I’m happy I did see some of the series, because it did a number of things well. And they were things that desperately needed to be done well. Overall, it’s still a good show for those who find the premise more to their style, and it still does provide a refreshing take on a number of subjects.